In the past week, a number of ministries, including the Ministry of Education and the Ministry of Ecology and Environment, have responded to issues of public concern. China will lend stronger financial support to improve education in remote rural areas, Zheng Fuzhi, assistant education minister, said during a news conference held by the State Council’s information office on May 25. He said that China will give another 13 billion yuan ($2 billion) to local governments for education. The decision was made during the State Council’s executive meeting on May 23. He said the money will mainly be given to schools in remote and poverty-stricken areas, and another 10,000 teachers will be sent to these areas. Efforts will be given to improve the conditions for teachers under the compulsory education system in rural areas, Zheng said. China handled more cases involving violations of environmental protection laws last year as a crackdown on pollution escalated, the Ministry of Ecology and Environment said. Authorities handled 233,000 environmental pollution cases in 2017, surging 69 percent year-on-year, compared with a growth rate of 33 percent and 42 percent respectively in 2015 and 2016. The government is planning to set up about 100 cultural heritage bases at higher-learning institutions nationwide by 2020 to promote traditional culture. The ministry encourages universities and colleges to buy products from folk artists and intangible cultural heritage inheritors or to hire them as visiting professors. Each student will be awarded two credits for completing each course, which will require 36 hours of class time. As an initial part of the plan, around 50 such bases will be chosen in universities and colleges this year. Air quality in the Beijing-Tianjin-Hebei region improved in the first four months of 2018 compared with the same period last year, the Ministry of Ecology and Environment said. The good air days accounted for an average of 59.1 percent of total days in the 13 cities in the region, up 2.2 percentage points year-on-year, ministry statistics showed. 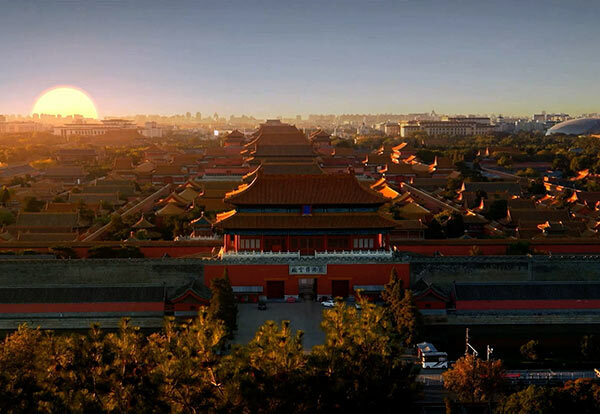 It also showed that Beijing saw the ratio of good air quality days increase by 3.9 percentage points to 64.7 percent in the period, with PM 2.5 and PM 10 density down 22.4 percent and 9.9 percent, respectively.